What a wonderful way of being appreciative. It takes effort but is well worth it! Thanks, Harold, for taking the time to write. You’re right; it takes time to say “I’m grateful” but it’s worth the effort. I’m glad you’re my friend, Don McMinn. And our friendship is mutual. Thanks, Wayne. I’m glad I read this essay! It is so easy to slip into the “I’m sad, life is so hard”-mode when the going gets tough. If I start smiling, I’m starting to be glad. If I start expressing gladness, joy bubbles up from deep inside, and Satan cannot stay close to that. He has to flee! Thank you, Don! I’m glad I met you! Jannie, you’re right, the benefits of a happy heart are numerous. Thanks for writing. I’m glad…that I’m subscribed to this inspirational newsletter. Thanks, Don, for your encouraging leadership! Bill, thanks for kind and encouraging words. I’m so glad we are friends. I’m looking forward to our concert this weekend. This is such a helpful article. 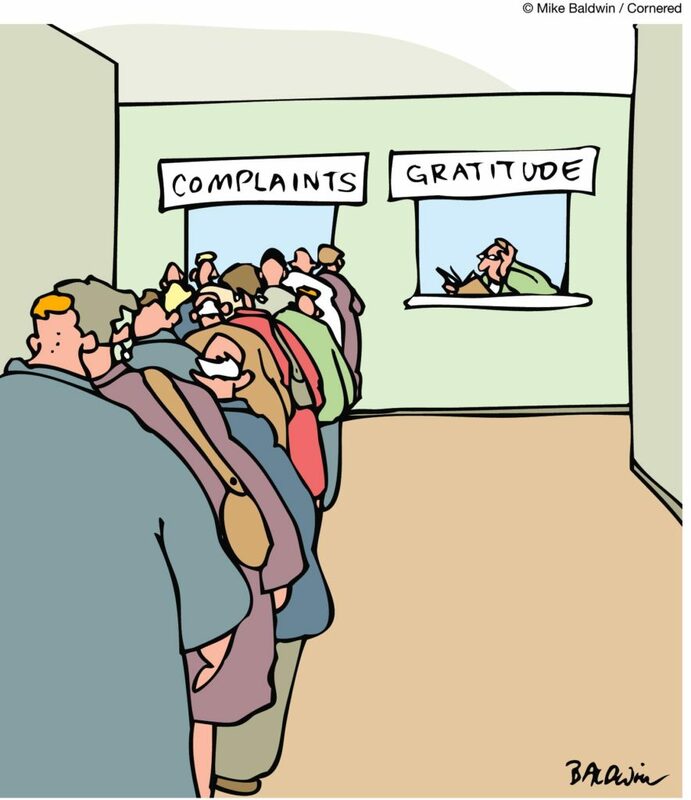 I had always made gratitude = thanksgiving but this is a much more pro-active approach. Thank you.